My life has not been free of hardships, but 2013 brought up new depths of suffering, pain like I had never felt before and hope never to feel again. 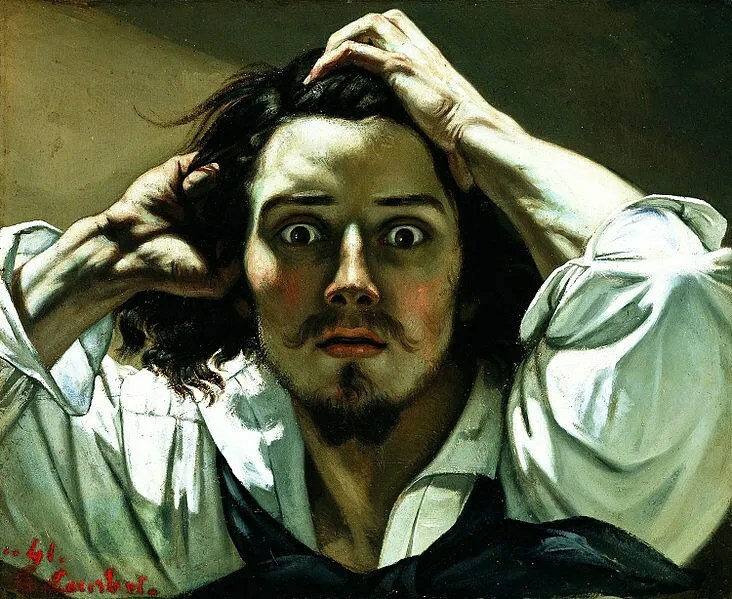 I wrote numerous blog posts during this time and frequently found myself looking for visual representations that communicated the angst that welled up inside me. I was surprised by how sparse these visuals were – at least ones that could be legally reproduced on a blog without first securing the author’s permission – so I have formed a collection of such legally reusable images here and hope they are useful to others as they have been to me. If you stumble upon images which might fit into this collection, I’d gladly receive your recommendations. 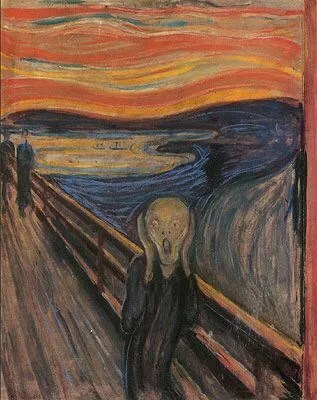 The Scream by Edvard Munch powerfully portrays the angst I oftentimes feel inside. 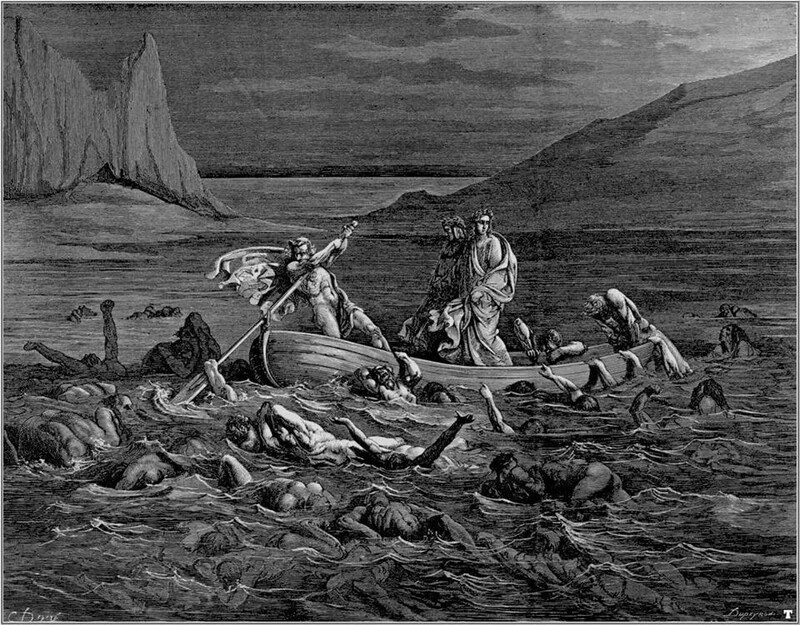 Gustave Dore’s illustration of Dante’s Inferno in which the narrator is crossing the River Styx in hell. 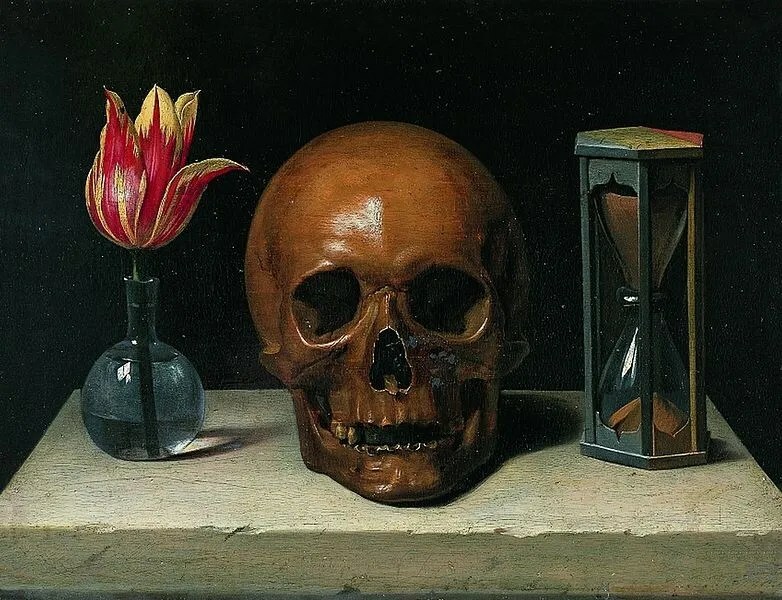 When struggling with depression or ocd in their rawest and deepest forms I oftentimes feel as if I am in hell…and this is one of the reasons why I struggle with hell theologically to such a great extent. 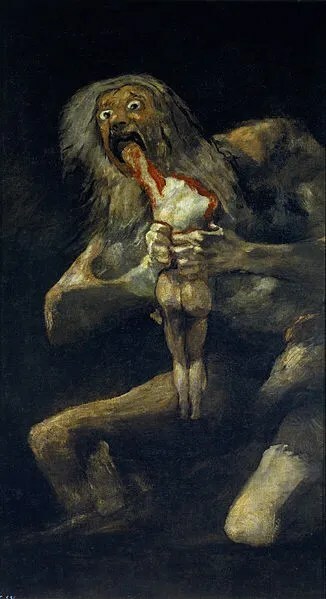 Saturn Devouring His Son by Francisco Goya, painted sometime between 1819 and 1823. 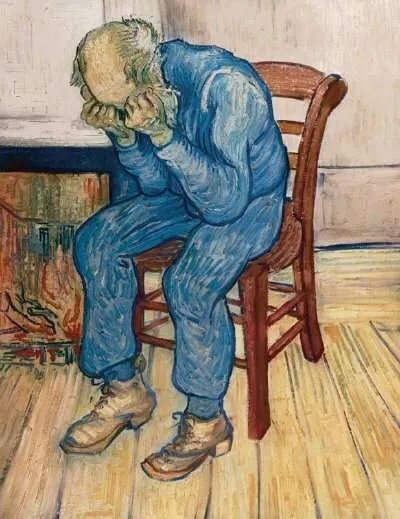 Vincent Van Gogh’s Old Man in Sorrow. 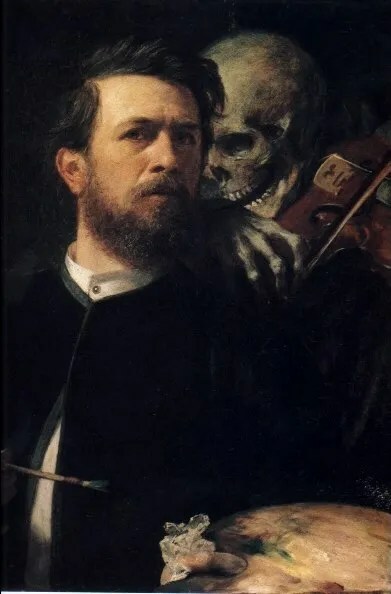 A self-portrait by artist Arnold Bocklin with death playing the violin (1873). 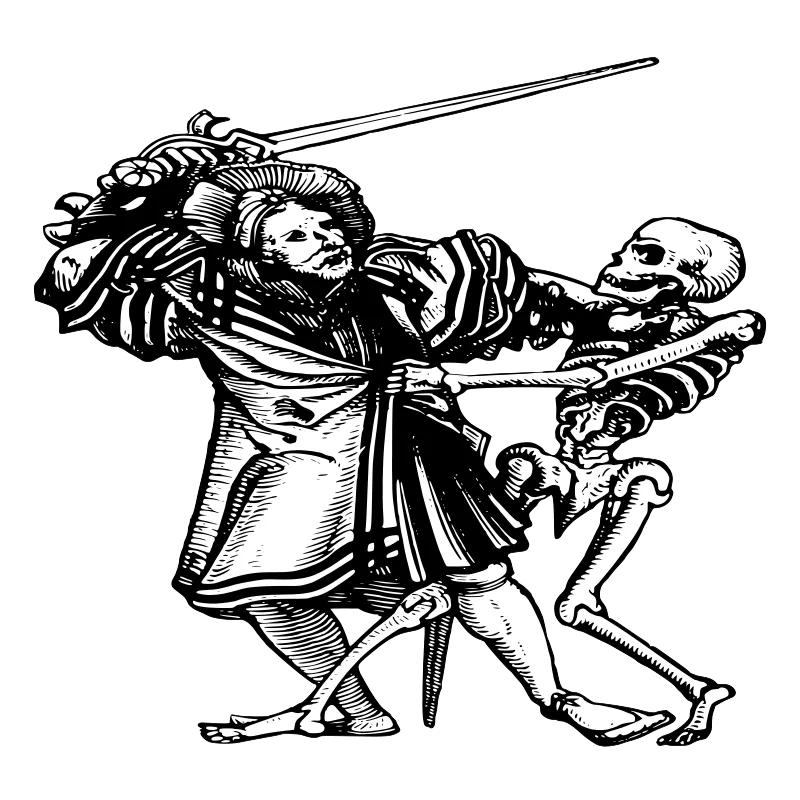 Thanks to AJ and OpenClipart for this image of man fighting death. 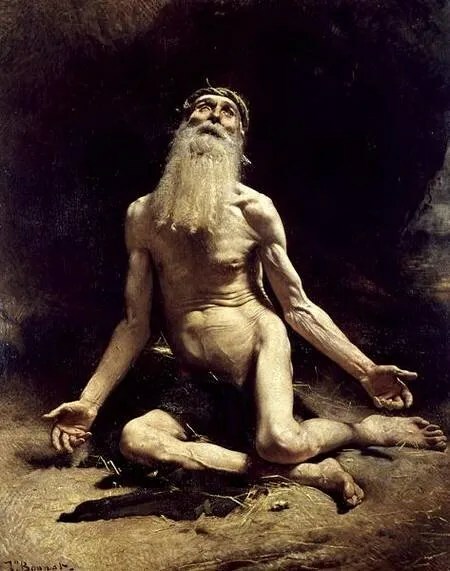 Job by Leon Joseph Florentin Bonnat, 1880. 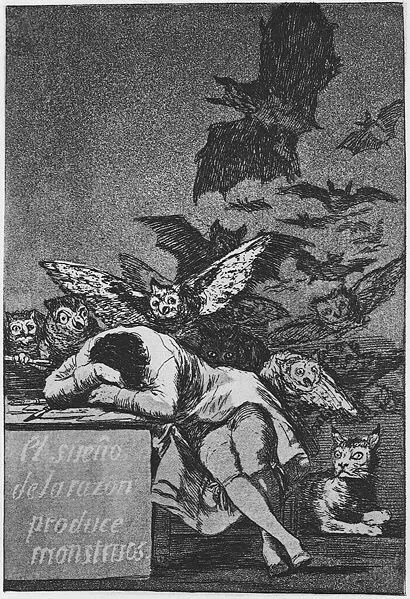 Francisco Goya’s Sleep of Reason Produces Monsters, part of his satirical work Los Caprichos. This drawing was produced sometime between 1797 and 1799. 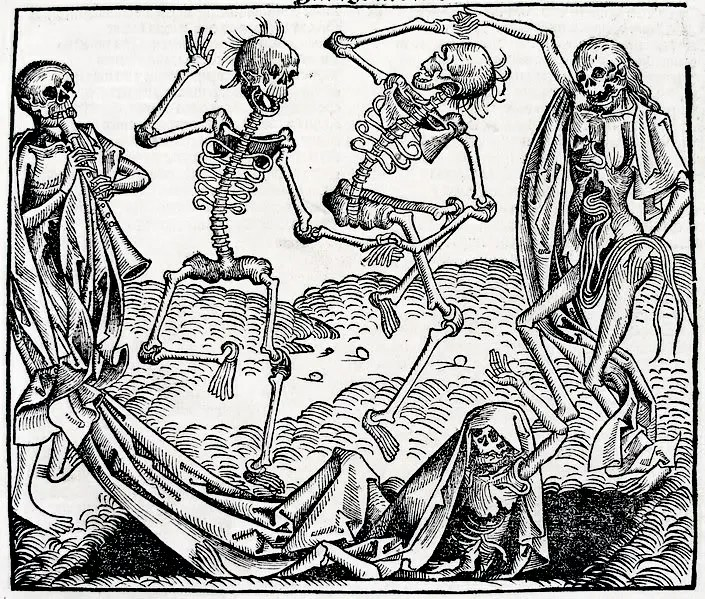 Dance of Death (1493) by Martin Wolgemut. 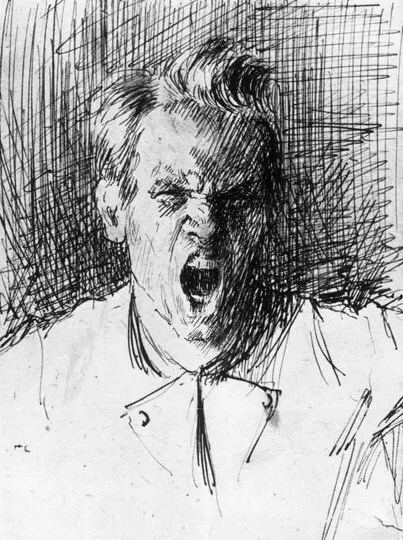 Erik Theodor Werenskiold’s self-portrait from 1877. 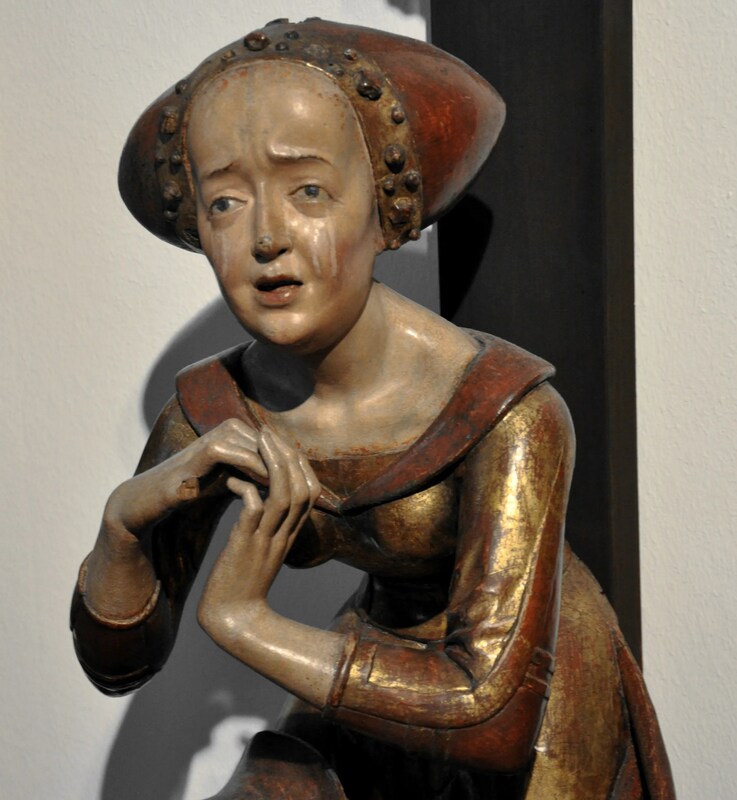 A sculpture attributed to Veit Stoss (1447-1533), Halleiner is a location in Austria, Kreuzigungsgruppe is German for Crucifixion. Grave of János Elek and family at Kerepesi Cemetery in Budapest. Female Patient with Sleep Hysteria. A Woman Diagnosed as Suffering from Melancholia.